The popularization of ride sharing apps like Uber and Lyft has revolutionized the way we travel. Uber alone boasts around 40 million active riders per month, and Americans’ biggest complaint about ridesharing apps is that there aren’t enough rideshare drivers on the road. In Los Angeles, city residents took 6.3 million trips through rideshare apps in 2016. Rideshare companies tout the myriad individual and social benefits of ridesharing, including convenience, cost efficiency, and fewer drunk drivers on the road. Unfortunately, some of the actions that these companies have taken to ‘disrupt’ the transportation industry have resulted in increased danger for passengers, pedestrians, and other drivers on the road. Uber has been accused of running insufficient background checks on its drivers, leading to reports of assaults. Ridesharing may also contribute to increased risks on the road—preliminary studies suggest that rideshare users are more likely former public transportation users than car owners. This means there are more vehicles on the road than in the past, opening up greater risk for accidents. Here’s what you need to know about rideshare accidents, according to personal injury lawyers at The Dominguez Firm, LLP. What Should I Do After a Rideshare Accident? Take safety precautions. Your driver should know to move the vehicle to a safe area away from traffic, but don’t hesitate to remind them. Make sure they pull off to the shoulder of the road or otherwise out of the flow of traffic and be extremely cautious when exiting the car near a busy road. Contact the authorities. As with all motor vehicle accidents, you should call 911 or contact the appropriate authorities. If anyone has been seriously injured, request an ambulance. Even if you are not visibly injured, insist on contacting authorities and filing a police report—it is possible that injury symptoms may manifest in the days and weeks after the accident, and a police report will be extremely important if you want to pursue legal action. Gather evidence. Be sure that you have accurate information about your driver (name, license plate number, and insurance information), as well as any other parties or witnesses to the accident. Photograph any visible injuries and any damage to all vehicles involved. Take note of where and when the accident took place. Talk to a lawyer. If you were injured in the accident and your incident report is insufficiently addressed or compensated by the rideshare company, talk to a rideshare accident lawyer. An Uber or Lyft accident lawyer with the Dominguez Firm will be able to advise you about your legal options, and the next steps to securing compensation. What are the Most Common Causes of Rideshare Accidents? Rideshare drivers are subject to all of the same accident risks as ordinary commuters, with some added risks unique to the rideshare profession. Especially in dense urban areas, many rideshare drivers are residents of surrounding suburbs. As a result, they may be unfamiliar with city roads and unaware of hazards that locals are well attuned to. Compounding this risk is the fact that many drivers rely on the in-app GPS on their phones to direct them to your drop-off point. Every second that a driver is looking at their phone is a second that their eyes are off the road, producing greater risk of having an accident. Additionally, the nature of ridesharing produces an increased risk for accidents related to distracted driving—according to federal data, nearly 60% of distracted driving accidents are caused by a driver talking with a passenger, versus only 12% of accidents caused by the much more scapegoated practice of phone use. Rideshare drivers by definition have passengers, and are incentivized to be genial and make small talk to increase their chances for a good tip. The result is an increased distracted driving accident risk for rideshare drivers. Finally, rideshare wages are low, and many rideshare drivers work long hours for multiple apps in order to make ends meet. Some drivers may find themselves working at the expense of sleep, leading to drowsiness and exposing themselves and their passengers to greater risk of an accident. The CDC estimates that more than 6,000 fatal accidents a year may be attributable to drowsy drivers. What Types of Compensation Can I Recover from a Rideshare Accident? 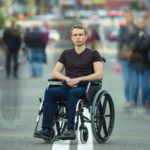 Under California law, accident victims are entitled to compensatory damages for their injuries (very rarely are victims entitled to punitive damages, unless the defendant inflicted intentional harm or exhibited extreme recklessness). Hiring an experienced personal injury attorney like those at The Dominguez Firm will help you maximize your compensation award. Unlike in other states, California puts no cap on the amount of compensation that a victim can be awarded in a personal injury case. The jury (or judge, in the case of a bench trial) will award the victim whatever amount they deem reasonable based on the evidence and the victim’s estimated losses. Who is Liable for Rideshare Accident Injuries? The question of legal liability in the domain of rideshare accidents is hotly contested, as unlike a conventional car accident between two (or more) individuals, a rideshare accident implicates not only those directly involved in the accident, but also the rideshare company whose brand the driver was representing. In general, the rideshare driver will be held liable for injuries to their passengers if they were responsible for the accident. If the driver of the other vehicle in the accident was responsible, then they hold liability for your injuries. Things become trickier if either driver is uninsured or underinsured. Although both Uber and Lyft require that their drivers have personal insurance policies, more often than not these policies do not cover accidents that occur while the driver is driving for the rideshare company, since they are operating their vehicle in a commercial capacity. Some accident victims have attempted to sue the rideshare companies, arguing that they should also be held liable for injuries caused by their drivers. Rideshare companies like Lyft and Uber have attempted to distance themselves from legal liability by categorizing their drivers as ‘independent contractors,’ rather than employees. As such, the companies take the position that their drivers are operating as independent businesses, and thus completely responsible for whatever happens in the vehicle. Uber or Lyft, they argue, are simply software platforms that put drivers in touch with prospective passengers and have nothing to do with the ride experience itself. 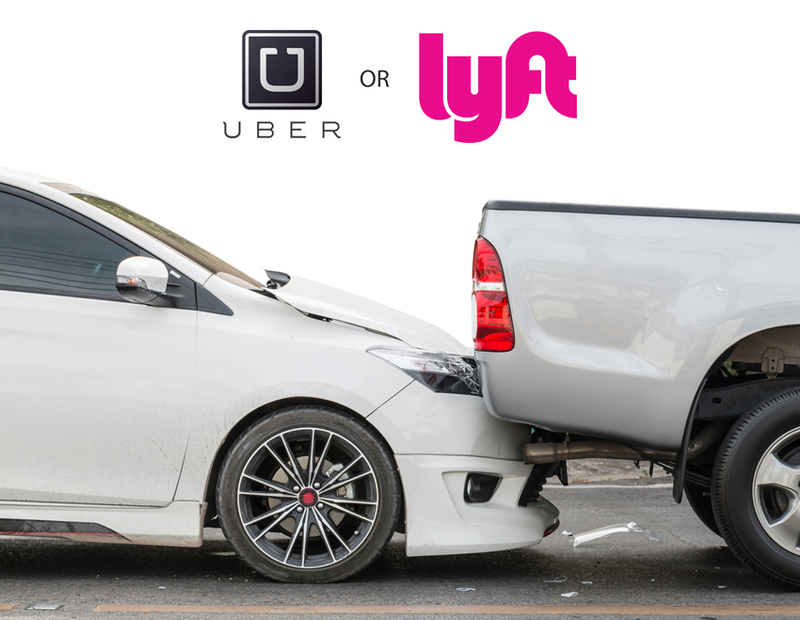 There is no settled legal standard on the issue of whether a victim can successfully sue Uber or Lyft for a rideshare accident; however, both companies now carry liability insurance coverage up to $1 million if their driver is responsible for an accident after having accepted your ride. Unfortunately, for some victims who are seriously injured, their expenses may far exceed this coverage cap over time. Given the ongoing legal ambiguity around the issue of whether rideshare drivers are employees, your best bet is to consult an experienced rideshare accident lawyer to find out your options. Statistics on accidents involving rideshare-affiliated drivers are difficult to come by, since ridesharing is such a recently popular phenomenon and most government agencies do not collect this information. However, the existing data suggests that ridesharing may be increasing risks to passengers and other drivers. Ridesharing may be linked to increased traffic fatalities. One study found that fatal crashes increased by 2%-4% each year after the introduction of ridesharing. For-hire vehicle accidents tripled between 2014 and 2016. One report found that Uber drivers were involved in more deadly car crashes than conventional yellow cab drivers in the second half of 2015. A crowd-sourced website reports 52 deaths related to rideshares. If you have been injured in a rideshare accident, you need an experienced personal injury attorney on your side. At The Dominguez Firm, our renowned personal injury attorneys have helped thousands of injured clients throughout the Greater Los Angeles area to win crucial compensation for their injuries. Our Uber accident lawyer team is equipped to tackle the most complicated of cases, and we can help you through every step of the claims process. We are proud of our 96% case success rate and have helped our injured clients win more than half a billion dollars. Call us today at 800-818-1818 for a FREE CONSULTATION and find out how we can help you on a no fees or costs unless you win basis.